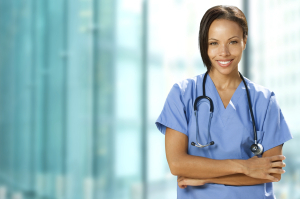 Before becoming a licensed registered nurse, all undergraduates in the nursing program must pass the NCLEX-RN or the “National Council Licensor Examination for Registered Nurse.” This lengthy, computer-generated exam is designed to evaluate the trainee’s critical thinking skills, analysis of information and ability to appraise information to formulate effective conclusions and determining the best answers to any given situation. A study guide may help prepare for the test, but it’s not advisable to rely on the questions in the book as a resource to pass the examination. Do not rely on trying to memorize as many answers as possible. The real questions are never revealed, and will change in accordance with the answers the applicants give. Solid preparation and developing a knowledgeable approach to the subject matter is the best guarantee for passing the examination. Take notes while listening to your instructor and underscore the primary points of the presentation. Organize the information, so it’s clearly defined and understandable from your perspective. Do not worry if you are unable to answer the questions promptly. The test is a measurement of your ability to analyze and think critically, so the best recourse is to reflect carefully and even request unscheduled breaks if you feel your mind tiring. Here are some tips on the types of questions that will be asked. The test will contain a number of multiple choice questions that will appraise your ability to think quickly in an emergency situation, such as correct procedure for assisting the physician with a patient who has gone into cardiac arrest, what to do if a patient suffers a seizure, or immediate care for an eye injury caused by solvents. It will also include questions that show your ability to evaluate a situation, such as how much detailed information to give the family of a patient, priorities in patient treatment, and respecting cultural differences. While some may have exact answers, some may have more than one correct answer. The examination will test your ability to manage a unit, prepare patients for surgery and instruct families on outpatient care. Questions may be asked concerning planned nursing assignments, developing an out-patient plan, and advice to give parents with new-born babies, or the family members of an Alzheimer’s patient. The practicing RN is expected to be able to read the lab results of blood samples and their significance. Most of the questions will be centered around the type of lab results that are abnormal, conflicts in medications, whether the administered medication is too high or too low, and the nutritional needs based on lab results. Correctly reading and evaluating the treatment needed based on the patient’s symptoms is an important aspect of the RN’s duties. Questions may be asked concerning the symptoms for head trauma, allergy reactions, types of rashes and their significance, or identifying complications arising from post surgery, blood transfusions and illegal drug use. A practicing RN is expected to know how diseases are transmitted, how to treat patients with terminal diseases, recognize diseases in remission, and plan diets and exercises for controllable diseases. Most of the questions will be based on a nursing care plan for hepatitis A, Addison’s disease, diabetes and treatment after chemotherapy. The limitations of movement in a patient are an indication of a medical problem. Questions may be asked concerning the type of limitations that can be expected to occur for undiagnosed injuries, the onset of scoliosis, or suspected stroke victims. Questions might also ask how to improve movement following myocardial infarction, stroke, or as part of the rehabilitation from a serious injury.